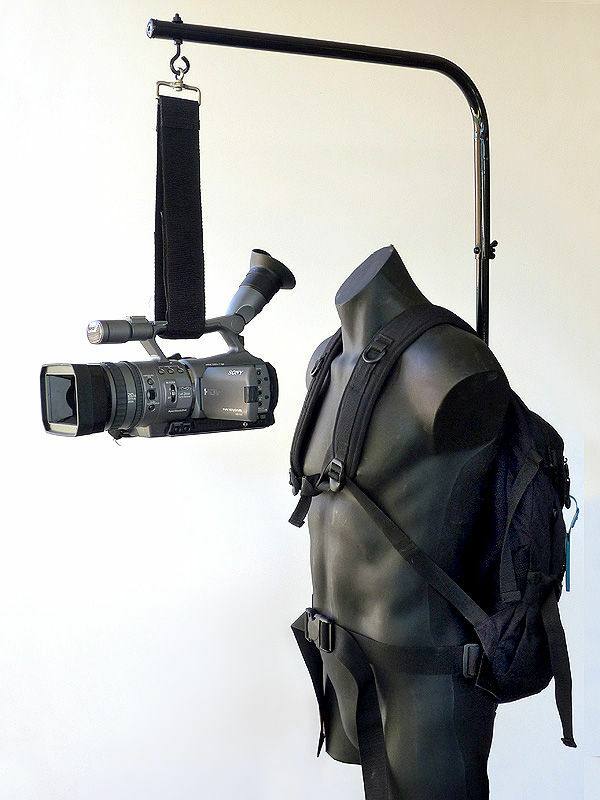 This device is an overhead camera support system that is designed to transfer the weight of the video camera from your arms and shoulders to your hips. The rig is basically an overhead arm that you attach the camera to. 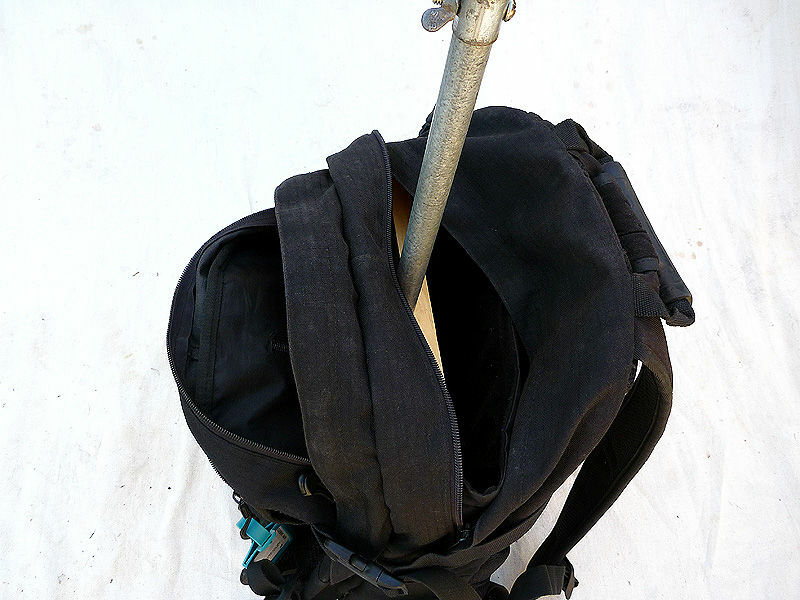 The other end of the arm is attached to your back by way of a backpack or dedicated brace..The commercially-made equivalent is an effective device, but at over $1000, it’s well out of the reach of most hobbyists, me included. So I decided to make my own with parts I had at home. 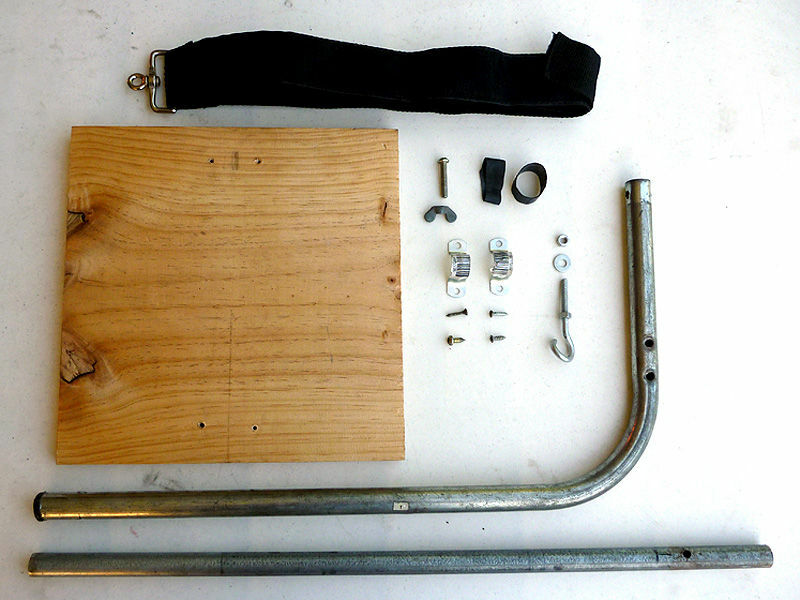 My Homemade Overhead Camera Support is made up of just a few parts. and in my case, most were recycled and FOP (Found on Property). 1. 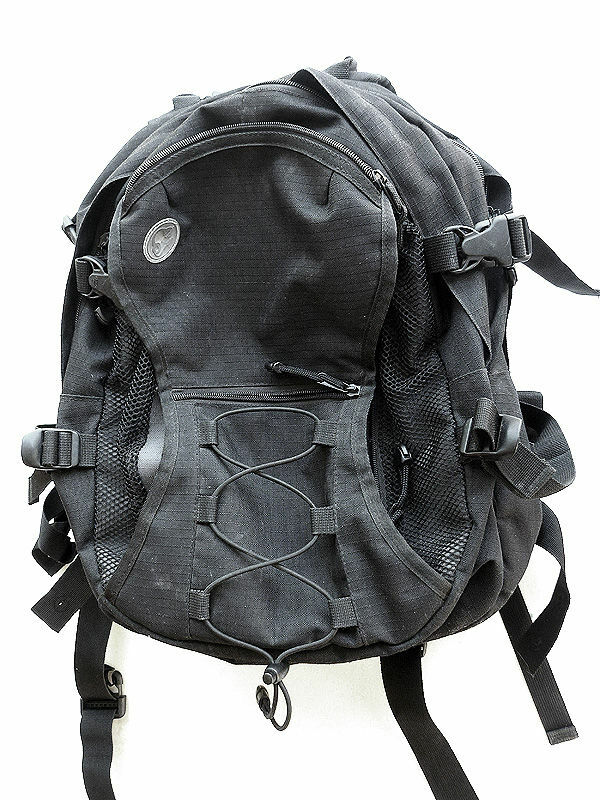 Laptop-type Backpack – The type that has a separate sleeve area for a laptop. Mine’s an STM. 2. 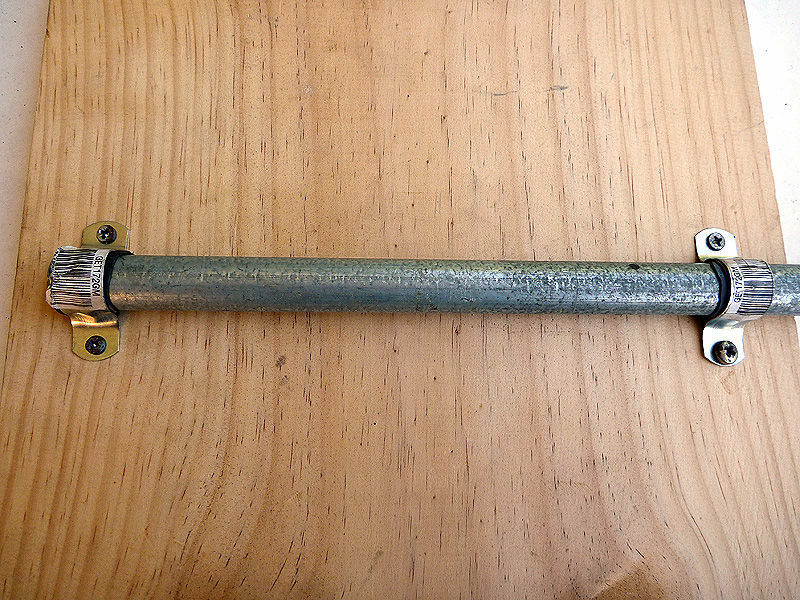 Straight pole – salvaged from a kid’s wading pool. 3. Curved pole – Salvaged from the same pool. 4. Base section – Piece of wood roughly the same size as a laptop. 6. 1 x Threaded hook. 7. 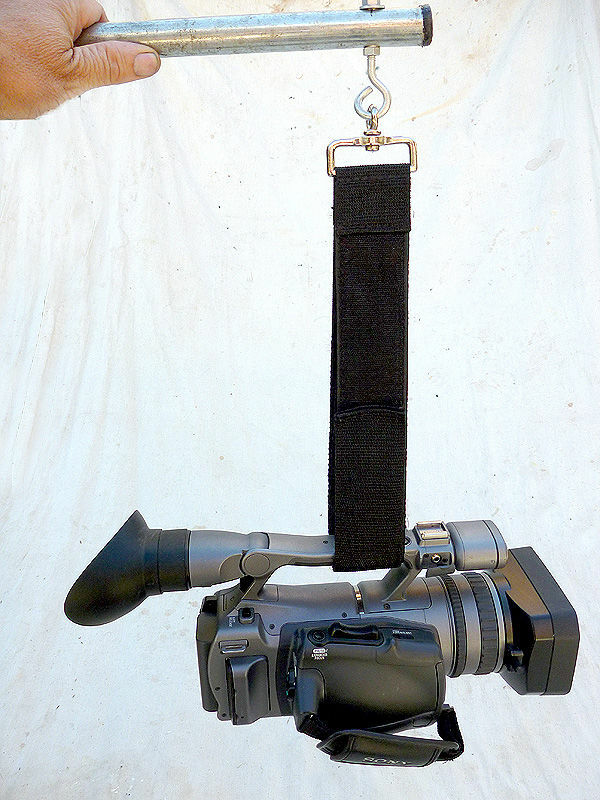 Some type of strap to hold your camera – Mine was salvaged from a old babckpack. – Hook packing. I’ve used old bike innertubing. 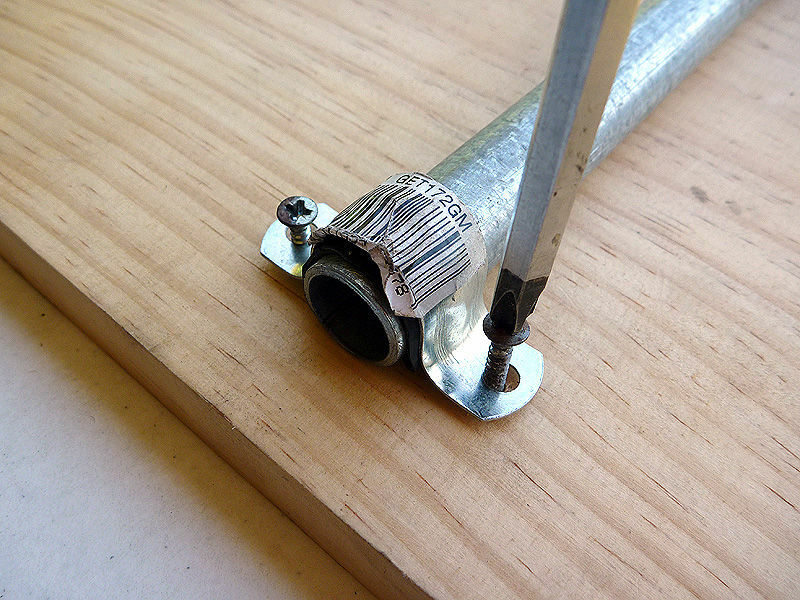 Building the Overhead Camera Support is a matter of simple assembly. 1. 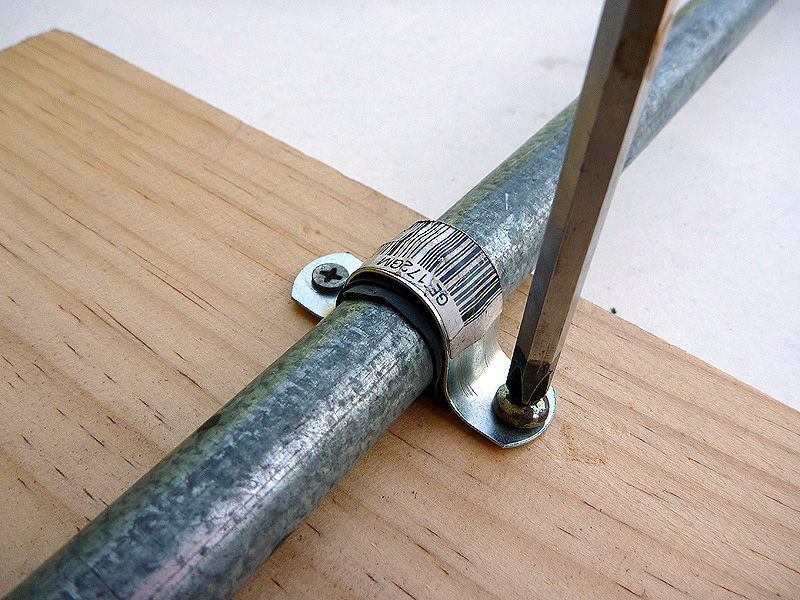 Attach straight pole to board using the hoop brackets. 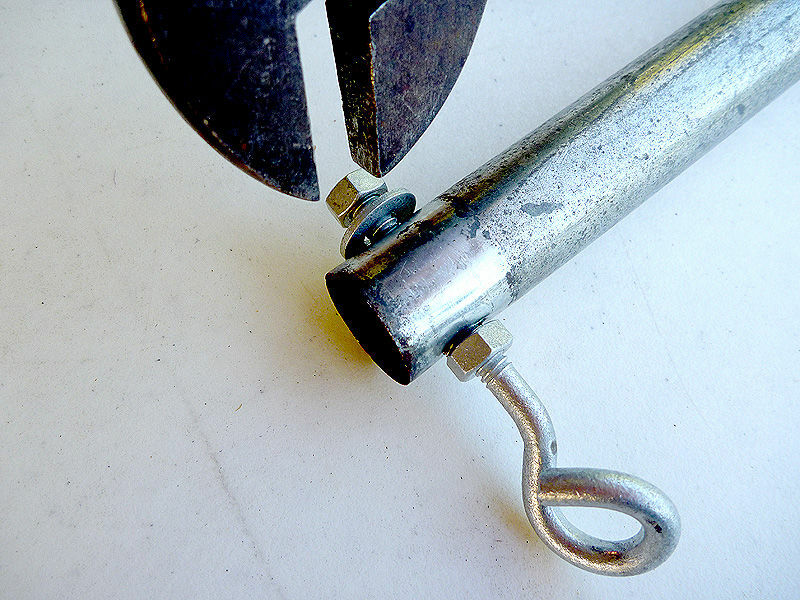 You may need to put some packing under the bracket to ensure a tight fit. 2. 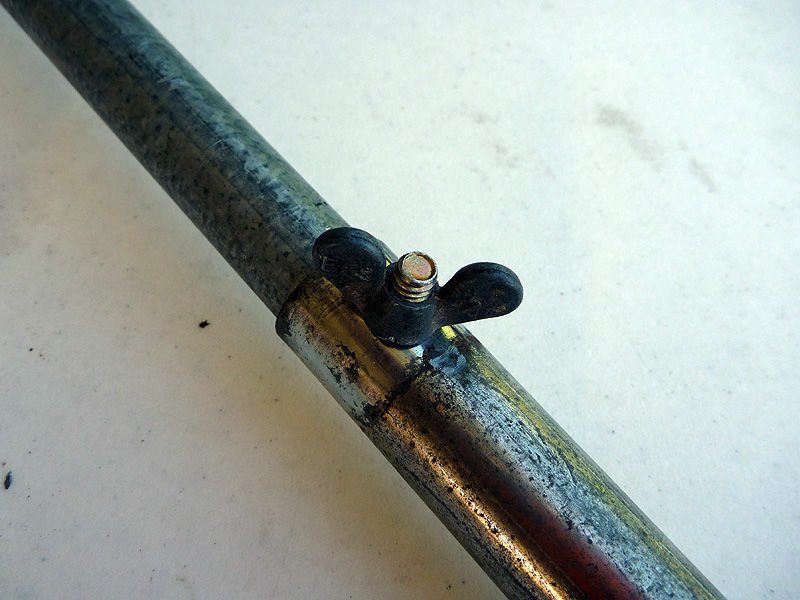 Drill and attach the camera hook to the end of the curved pole. 3. 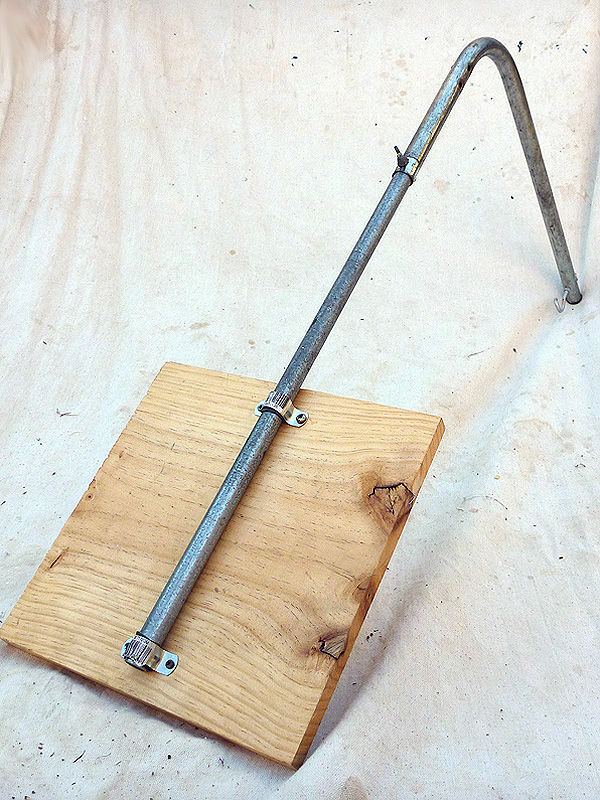 Attach the curved pole to the straight pole. 4. 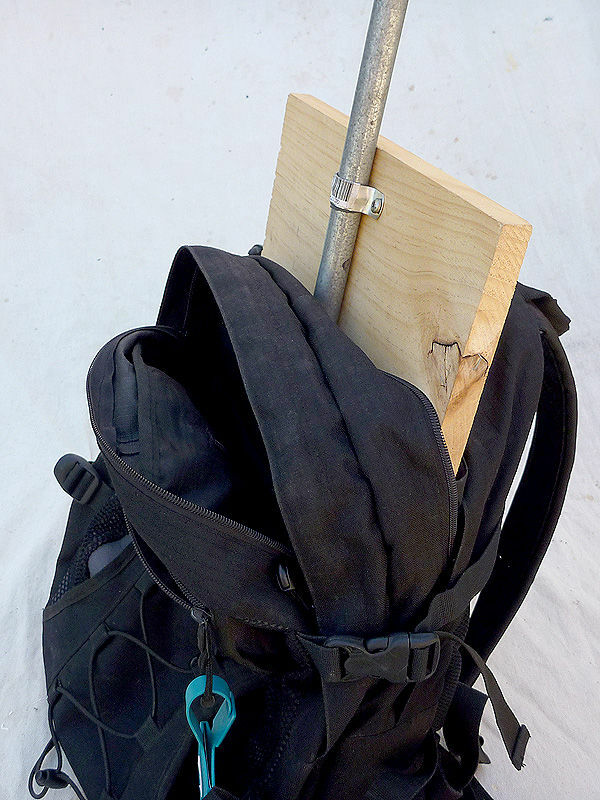 Slide the Rig into the backpack and zip up. 5. Put on the backpack and adjust. 6. Attach the strap to camera. 7. Attach the camera to the hook and adjust if needed.